Diabetes can cause a number of health issues, hair loss being one of them. Untreated or uncontrolled diabetes can result in a person’s blood sugar levels being too high and if this persists for prolonged periods of time it can damage blood vessels causing restricted blood flow. This prevents the correct amounts of oxygen and nutrients reaching the hair follicle. This can have a detrimental effect on the growth of the hair and in some instances cause hair loss. A diabetes sufferer can experience high levels of both physical and emotional stress leading to hormone imbalances that can also affect the hair growth cycle. Support from friends and family and taking up yoga can help with relaxation methods and meditation. Also, certain yoga poses where the head is inverted can improve blood flow to the scalp. People with type 1 diabetes are more likely to develop alopecia areata. 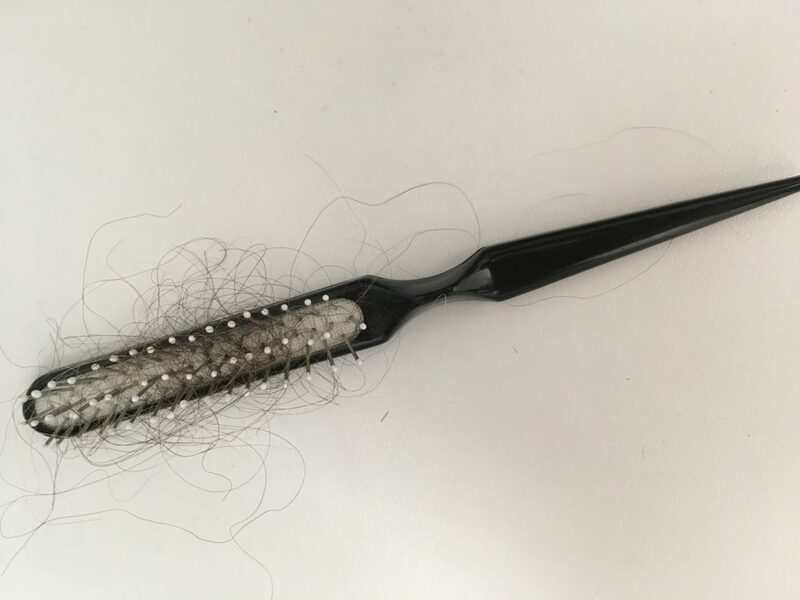 This is a condition where the immune system begins to attack healthy hair follicles by mistake, causing patchy hair loss. Hair loss due to diabetes can be slowed or stopped with good management of the condition, taking any prescribed medicine as directed by their doctor, eating a well-balanced diet and exercising. Some diabetics have lower levels of biotin in their system and this is one of the main nutrients needed for good hair growth. To achieve higher levels you should be including eggs, liver, whole grains, salmon, avocados, sweet potatoes, nuts and seeds into your daily diet. Taking more exercise can help improve the body’s circulation of blood, increasing blood supply to the hair follicle, it can also help a person control their blood sugar levels.